Now that it’s just the 2 of us at home, it seems easy to slip into eating more and more meals at restaurants. We try to exercise at the end of the workday and often it is late until we are ready to think about dinner. At 7 or 8pm when we arrive home, why not go grab a quick meal out? Well, generally it is much less expensive to eat at home, and less expensive in dollars and calories. So, if we are exercising each day after work to lose or maintain weight, then why send ourselves off into the land of calorie laden food? So, the challenge is to make something quick, easy and healthy or relatively healthy before it is time to head to bed. So here is what I have come up with recently to make a quick, easy and healthy meal. 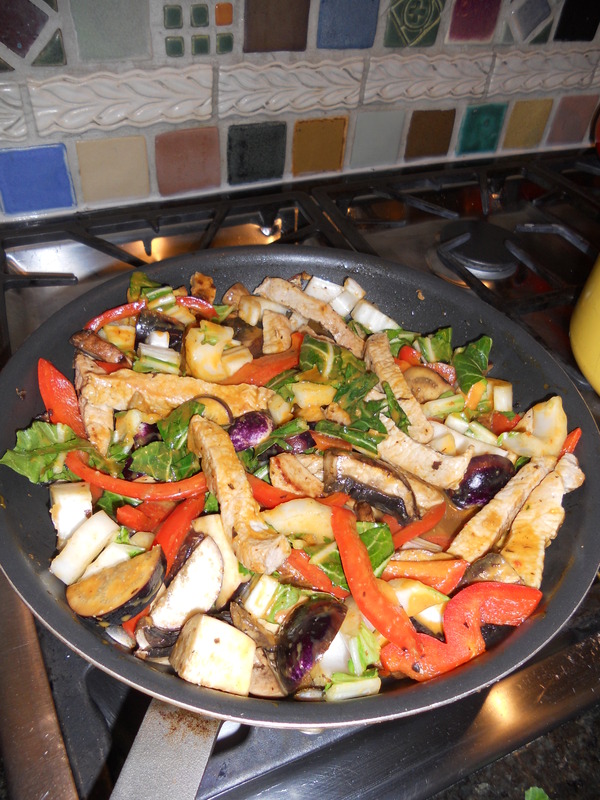 Add red pepper, mushrooms, eggplant, garlic and ginger to the pan and sauté until vegetables are beginning to soften. 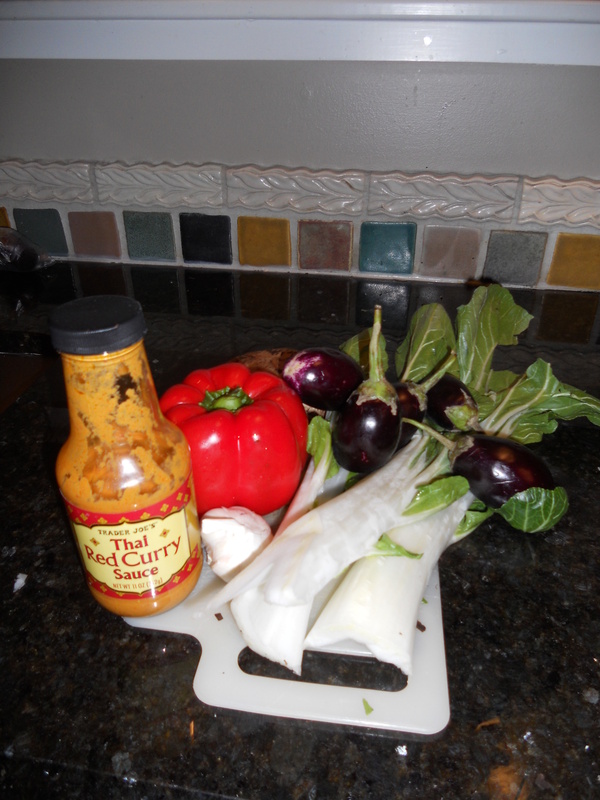 Add Bok Choy, chicken broth and Thai Red Curry Sauce, cover pan, stirring occasionally, 5 to 7 minutes. Serve over Jasmine rice, start the rice as you begin preparing pork, or make an extra serving or 2 and freeze until needed.